I’ve been waiting for this shoe to drop. 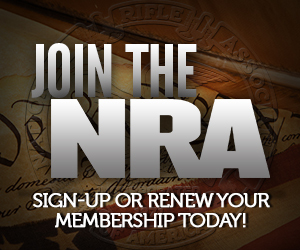 Russia has a RKBA movement that NRA has been involved with for several years. I met and spoke briefly with a representative from their organization at the NRA convention in St. Louis before Trump was even a thing. Somewhere I have her business card but I can’t seem to find it. Am I part of the conspiracy too now? Now, this Russian RKBA group is not an opposition group. That’s not allowed in Russia. This group has the blessing of the Kremlin. This is not a new thing. 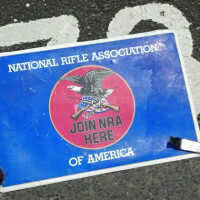 NRA has been working with this group for years. NRA has always been willing to work with foreign RKBA movements and to help promote the shooting sports in other countries. The common interests do go farther than that. Russia is an opponent of the UN Arms Trade Treaty (ATT), and when it comes to ATT, allies are scarce. It’s basically the Russians and Chinese who don’t want it. The sanctions placed on Russia are also indirectly an RKBA issue, since a lot of our cheap surplus comes from Russia. Now, I am fine with the sanctions as long as their true purpose is to act as a legitimate instrument of US foreign policy and not just a back handed way to screw American gun owners. I never got the impression that Obama’s sanctions were targeting us directly. I would not like to see NRA take a position on the sanctions, even if they interfere with imports of firearms and ammunition. To me that’s a foreign policy issue and a legitimate prerogative of the President and Congress. In other words, not a gun issue, even if we’re indirectly affected. There’s a lot of smoke here, but I’m not sure there’s fire. I might feel differently if I haven’t been seeing Russian nationals at NRA long before Trump came along, and before Putin started getting frisky in Ukraine and the Middle East. More importantly, I’d be more likely to believe there’s fire if NRA didn’t already have a record of helping completely unrelated foreign nationals promote the right to bear arms in their countries. They’ve worked with Canadians, Australians, and Brazilians – and that’s just what I know off the top of my head. They have foreign citizen members fighting for the right of people to keep and bear arms around the world who attend annual meeting. Each year, under a resolution proposed at a previous annual meeting, the Secretary recognizes those members in attendance from other nations and there are usually a handful who stand. In the U.S., she reportedly started a business in the U.S. with Republican activist Paul Erickson, but once worked as a special assistant to Alexander Torshin, a Putin associate and former Russian legislator who has been accused by Spanish investigators of helping mobsters launder money. In other words, Butina is not exactly like the pro-gun activists that emerge here in the United States; I would be personally interested in where her interest in guns and gun rights came from. She and her partner Erickson attended the by-invitation-only Freedom Ball that followed Trump’s inauguration. So, she/they seem to have ascended in Trump-Republican status with marked speed. Trump assured her of his best intentions toward Russia. When Sheriff David Clarke went with an NRA delegation to Russia in 2015, as a public official and LEO he was required to disclose who was paying for the trip. He disclosed that his trip was partially paid for by the Russian group, Right to Bear Arms. Just as dissidence, per se, is not permitted in Russia, it must further be considered that dissidence there is interpreted as doing anything at all political that is not serving the interests of Russian oligarchs. Anyone who can develop a following and a base of support is liable to become a future threat unless they are steered. Only approved growth and advancement can be tolerated. For me there is just too much Russian smoke there, for there not to be Russian fire. Clarke (for just one example) may be a braying jackass who will fall for anything that makes him feel important, but I think the NRA is a bit too politically astute to have just allowed itself to stumble into these relationships blindly. At best they are bad optics. I think someone’s pot was sweetened by oligarchs, sufficient to take the risks and place others at risk. Your observation regarding seeing Russian nationals at NRA events for a long time, can be argued two ways. Someone (and I don’t mean the NRA) was crafting a romance between Russia and certain branches of American conservatism long before the Trump candidacy appeared on the horizon. No doubt those who were crafting it probed for any possible opportunities, long before they determined how they might be exploited. That’s who I met. I couldn’t remember the name, but I recognize it. I spent some time looking up answers to my questions. First, Maria Butina seems to have come by her interest in guns and shooting honestly. She grew up in Siberia. But the odd thing is she attracted a powerful ally in Alexander Torshin, an oligarch who was/is the First Deputy Speaker of the Russian Senate. Both Butina and Torshin became NRA members. I wonder why? Can altruism alone explain it? My apologies; I am ethnically suspicious of Russians, and I have too much experience with American infiltrators and front organizations, to believe that the Russians would be pikers at those tactics. I don’t think I’ve ever met a Pole who wasn’t suspicious of Russians. The Russians loaded members of my European family into cattle cars, exactly as the Nazis did with Jews. Except, the Russians planned on the Siberian winter killing them, and they didn’t need no stinkin’ gas. They were successful in many cases, but not all. The last survivor, of my blood, died only about two years ago. I have cousins who were born in Siberia. She had gone through the war as a young girl in Poland and fled to the post-war West Germany and then came over here as a teenager. My high school had German I through IV, but really only I and II … if you took III and IV it was just that you got extra tutoring instead of study hall. I asked her to teach me Russian and though she was fluent and I showed talent with languages, she refused. She said that while the Germans did horrible things to her country, she always had a love for the German people and culture. So she could teach German. Russians, however, she felt had no redeeming qualities. She said unless I was interested in going into the intelligence community, she wouldn’t teach me Russian. That’s stuck with me, over the years. At the time I thought she was kind of a strange old lady. But she taught me a lot about European political and cultural pathologies. Shifting ethnicities for another extreme example, I had a coworker and graduate school classmate from Croatia, who went on to be a professor at an area university; definitely extremely intelligent and sophisticated, but they never could understand why rational, civilized people would allow Serbians to live. When the Balkan Wars of the 1990s came along, I had better than average insight into the cultural milieu of the region. For better or worse it is something Americans can’t understand too well. Earned it fair and square, I reckon? The International Business Times has an article alleging that Alexander Torshin “helped launder mob money in Spain.” I doubt he is an altruistic Boy Scout. Here’s Clarke’s disclosure that he received about $6000 from the Russian group. Interesting. I wonder what they want from him. Except that the only official inaugural ball that was invitation only was the Salute to Our Armed Services Ball. That was restricted to military, their families, and those who work on military/veterans issues. The Freedom Ball and Liberty Ball both had tickets available to the public for as little as $50. Granted, they went very quickly, but they were not invitation-only events. It might be minor, but facts are pretty important when you’re trying to use this as evidence of conspiracy. You are right, and thanks. It certainly shoots down my speculation that attendance at an “invitation only” ball indicated a rapid rise through the ranks. I saw the erroneous statement in two different sources, but I assume someone made the error first and then everyone else (including me) echoed it, because it sounds plausible. But meanwhile, while checking on that point, I saw it claimed that Butina bragged about being part of the Trump campaign’s communications with Russia; allegedly two witnesses claim she said that while at a vodka-lubricated party with Erickson, and one witness that she repeated the claim in one of her graduate classes. Of course for now that is only hearsay, not testimony under oath. I have no clue whether the Russians activated this or not but they have to be laughing their asses off. It would appear that they had a much clearer assessment of the malevolence of our media and the incompetence of our security agencies than Americans did. You’ve put your finger on exactly why they did it. Tactically it was guaranteed to work anywhere, and is working everywhere in the world. I admit that I’m putting a little generational bias into my opinion — having been born at the opening of the Cold War — but I find it fascinating that Russian tactics that would have been seen through as totally transparent when they were Communists, are now considered something that needs to be proven beyond a reasonable doubt, and in some cases even apologized for, since they’ve gone Fascist. “Paranoia” directed at communists was once a requirement for patriotism; now, directing it at fascists, it is dismissed as only paranoia. It’s funny how things work when ideologies switch seats.